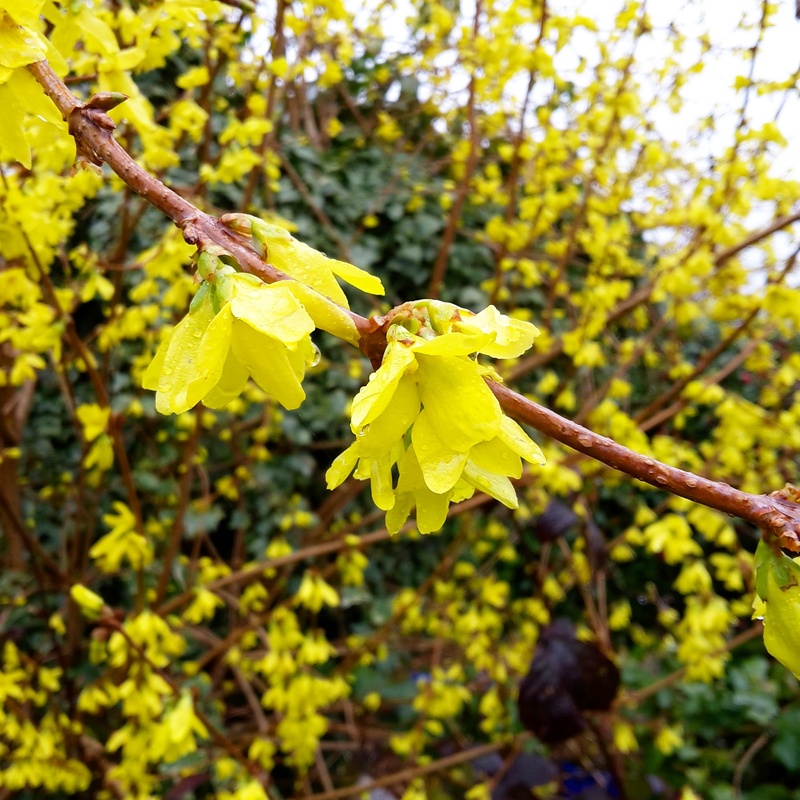 Our garden looks very drab at this time of year but the one saving grace is the beautiful Forsythia which has had a slow start to the year but has, all of a sudden, flourished into its trademark brilliant yellow flowers. I took this photo with my S5 on a rainy morning. I bet that really brightens up the garden. Our garden is starting to show signs of colour now.